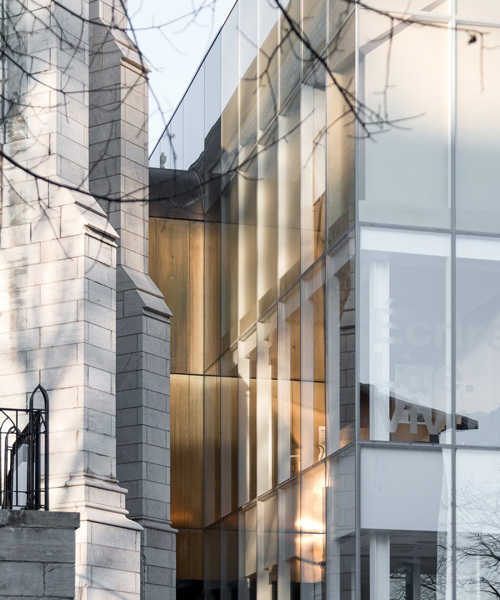 the project is an extension of the wesley temple, a neo-gothic heritage church in the historic neighborhood of old québec. 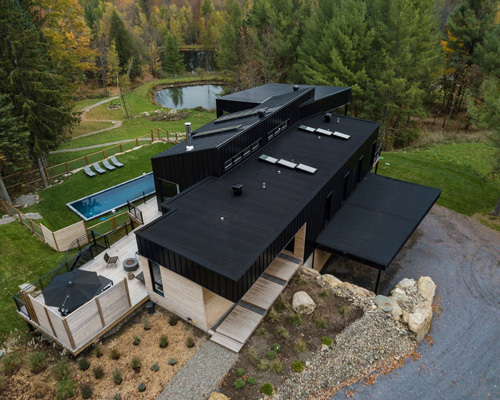 the residence is completed with an in-ground pool and a garage/workshop. 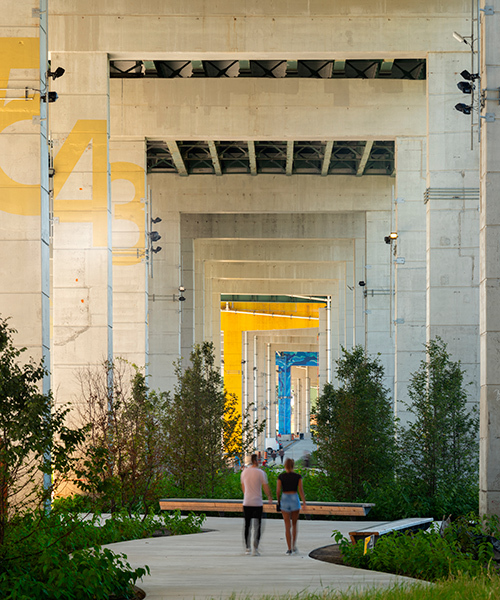 the ongoing project will revitalize the route into a vibrant public place where visitors can experience a diverse mix of activities and programs. on the upper floors, the music recital hall features a large window that provides south-facing views of the canadian city's skyline. the community will use new technology to address urban challenges and improve residents' quality of life. the commanding yet considered architectural features of the property lent itself to minh T’s own photographic style: distilling a scene down to the most essential elements. 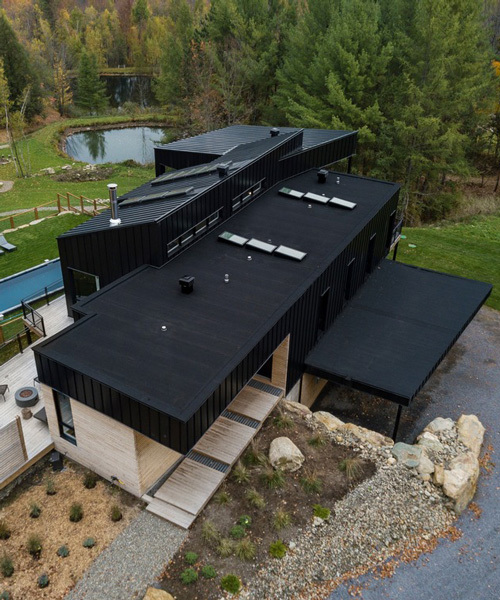 the transformation draws from the building’s former function and iconic circular shape. first revealed in 2016, the ambitious residential scheme has now been approved for construction. the tenth floor duplex unit is perched atop the residential complex, looking across the saint lawrence river towards downtown montreal. 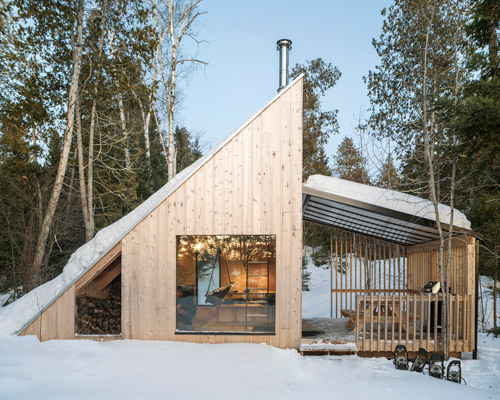 each of the three domes sits on a separate wooden patio that overlooks the mountainous landscape. the new expansion is wrapped in a dynamic, triple glazed façade composed of a modular, hexagonal pattern. the double-height glazed atrium features a concrete and steel staircase nestled between the tall vegetation and indoor waterfall. sited in the wild landscape of kingsburg beach, the dark-silhouetted property emerges above the terrain’s tall grasses. the finch west and pioneer village stations are developed as part of a six-station subway extension between toronto, york and spadina. 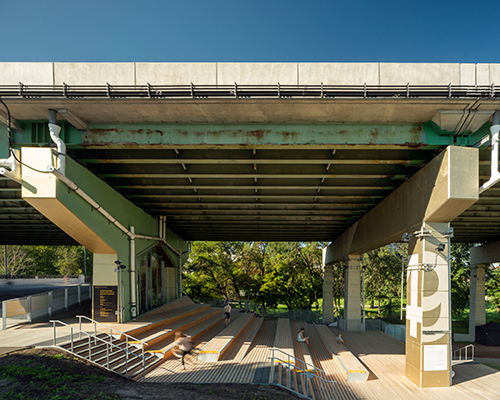 the pavilion, made of 1802 stacked fiberglass units, has been disassembled in london and reconstructed in toronto – and designboom is in the canadian city for the BIG reveal. the extension comprises two superimposed garages, a workshop, a large creative room and a mezzanine. 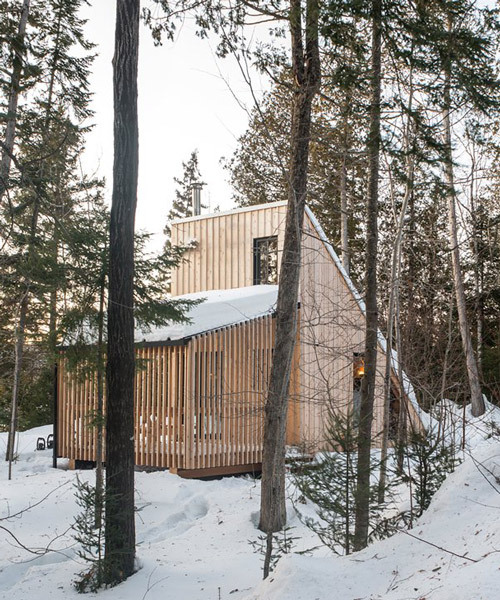 rather than one large structure, the house comprises a series of contemporary 'sheds' set within the wooded landscape. 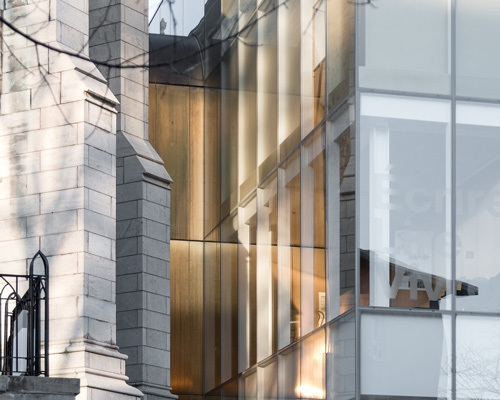 under the direction of the japanese architect, the vancouver art gallery has built a replica of his 15.8 square-meter structure at its offsite location. designed for an australian ex-patriate family, the g'day house reconnects its residents with a warm-weather lifestyle, with indoor and outdoor space holding equal priority. two elongated halls share a likeness with a pair of binoculars, with two massive windows perpetually focused on the horizon.